Rosarito real estate mogul Luis Bustamante sought the help of several Expat Rosaritense to ask their opinions of the cost of living in Baja in comparison to that of the United States. Volunteers from Cruz Roja Primo Tapia Voluntarios completed a survey questionnaire that compared previous surveys of Los Angeles and Ensenada. The volunteers were asked their views of price comparisons in the areas of housing, dining, clothing, entertainment, and personal care. Mr. Bustamante will deliver his results at a global summit of foreign investors in Los Angeles, in hopes of persuading them to expand their companies into northern Baja California rather than the US, to save costs. Bustamante’s goal is to prove to the world that people not only live in Baja on less money, but are much happier than their American counterparts. By more companies coming to Rosarito the City will receive better services due to the influx of money. 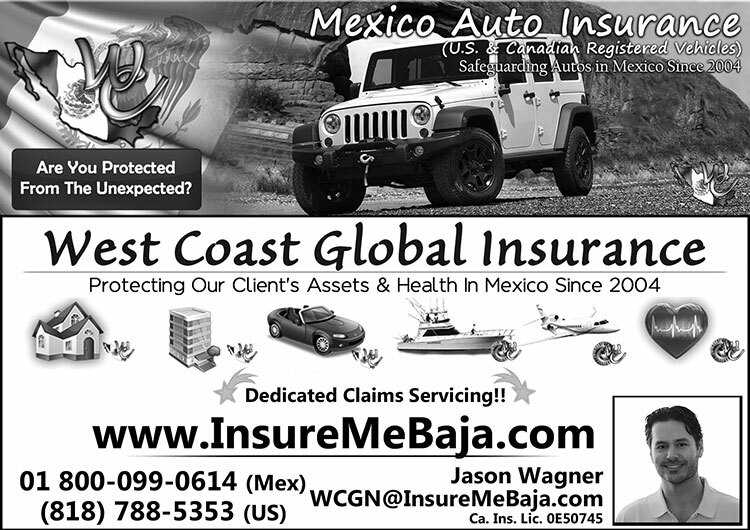 But all agreed that living in Baja was a better deal financially than continuing to live in California after retirement. And most cited a much better quality of life while living in Baja; less stress, and not having the feeling of having to “keep up with the Joneses” were two of the points cited most often. The results of the Rosarito study illustrated that the population purchases some items in the US because they are either of better quality, or more to the liking of Americans. This was especially true for personal care items such as toothpaste and deodorant, and produce, which lasts longer than that purchased in Baja. Some items, such as household staples show little difference whether purchased in the US or Mexico. In return for their participation, Mr. Bustamante donated 1000 pesos per survey taker to the Cruz Roja Primo Tapia Voluntarios chapter of which he is a Lifetime Member. Before appearing at the global summit, Mr. Bustamante will offer the same survey to Expat participants in Tijuana. Results from all Baja towns surveyed will be calculated and results presented to prospective investors from the US, China and other countries.